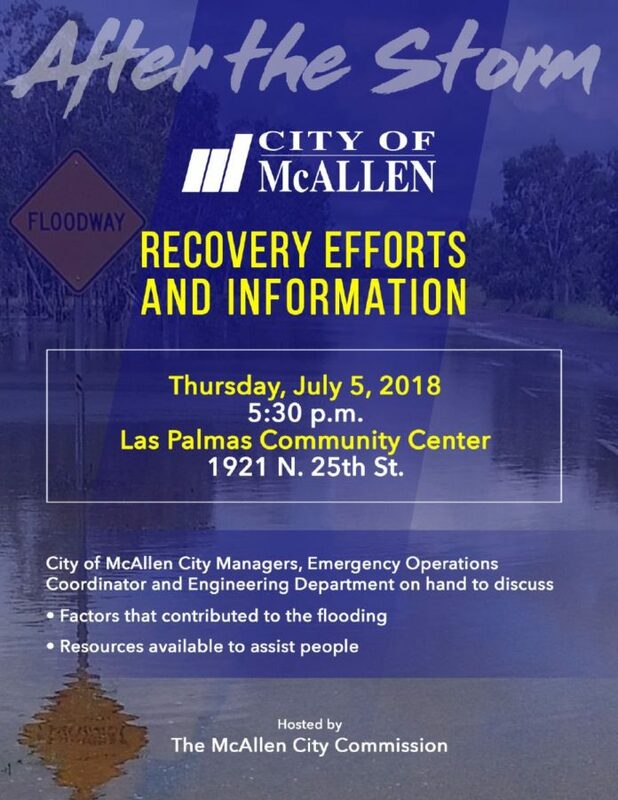 City of McAllen Commissioners will host an open meeting for McAllen residents to discuss flooding issues and the steps those affected by the recent storms can take. The meeting will take place at 5:30 p.m. Thursday at Las Palmas Community Center, 1921 N. 25th St. Among the topics to be discussed at the meeting are factors that contributed to the flooding and resources available to assist people.